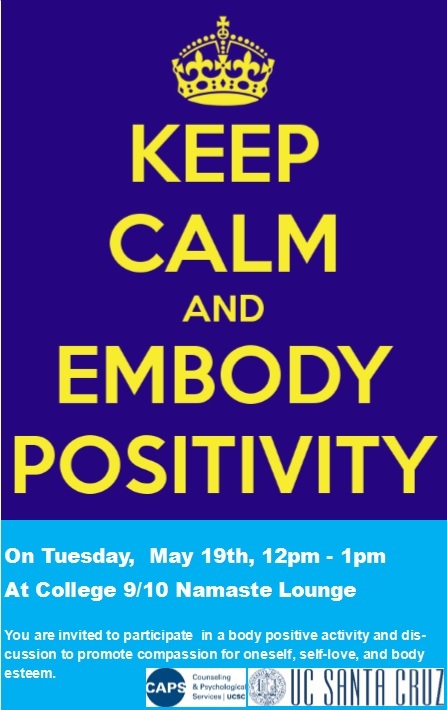 Advice for Embodying Positivity + Upcoming Workshop on Tuesday, May 19th! As the weather gets warmer, social media becomes deluged with advertisements for weight-loss, showing thin, smiling people claiming that a specific type of diet or exercise changed their life for the better. Although there is nothing wrong with eating healthily and exercising regularly, it is no secret that our society often equates a low weight to health and beauty. Common sense tells us that this is absolutely ridiculous. A person can be healthy and attractive at any weight, and we all come in different sizes and shapes. When it comes to my experience, I know that I’m not alone in the fact that I often felt self-conscious of my appearance and my body while I was growing up. As a biracial woman, I never saw anyone in the media that resembled me – I felt like an alien. Additionally, in high school I was often teased for being shaped “like a boy.” Words hurt, and our society’s narrow perceptions of what makes someone attractive can have long-lasting effects on our confidence and how we view ourselves. I hope you have a wonderful day and stay positive! Upcoming “Stress Less” Workshops this Spring! We hope that Spring Quarter is treating you well… However, we also know that this time of the quarter is also a time when many students feel the most stressed. 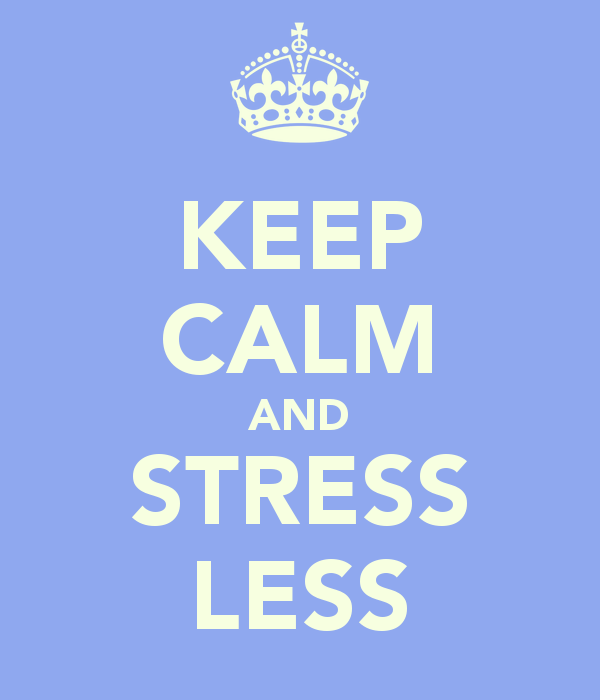 That’s why CAPS Peer Educators will be leading three Stress Less Workshops right in time for midterms! These workshops will teach you tried and true techniques for stress management, including ideas for increasing your resiliency to stress. Additionally, we will guide you through a great breathing exercise. If that’s not enough for you, we also have cool goodies like stress balls, pencils, and more! We look forward to seeing you at these workshops, and we encourage you to stop by and use us as a resource. Remember, CAPS is here for you! Be sure to call 831-459-2628 or stop by CAPS if you have questions. With winter quarter in full swing, you may feel that things are racing by and you can’t catch up. The cold weather, combined with growing piles of homework, unrealistic expectations, and everything else going on in your life, may be putting you in a funk. Is it the winter blues? …Or is it something more? 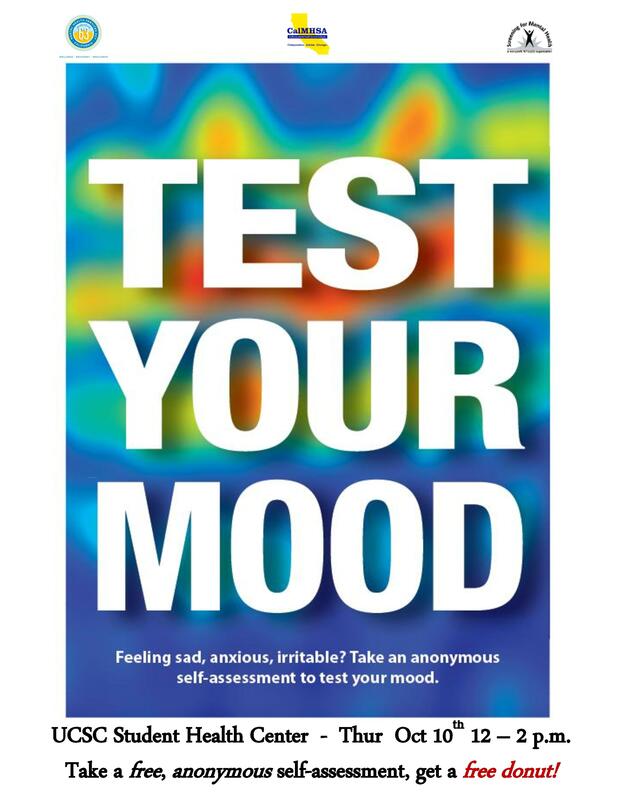 If you are tired, sad, anxious, having difficulty concentrating in class, or just don’t have interest in the same things you used to, depression may be the culprit. Depression is something that can affect anyone. Half of all college students feel depressed at some point during their time in school. According to a 2011 survey, 60% of college students reported feeling very sad in the past year. However, you shouldn’t let depression dictate your college experience. 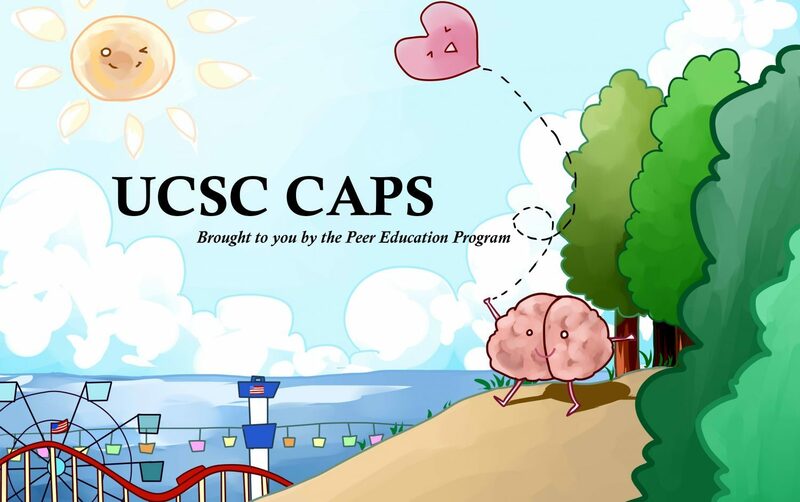 Thankfully, UCSC Counseling and Psychological Services is offering students a mental health check-up on Wednesday, January 21st at the Cowell Student Health Center from 11 AM to 1 PM as part of National Depression Screening Day®. 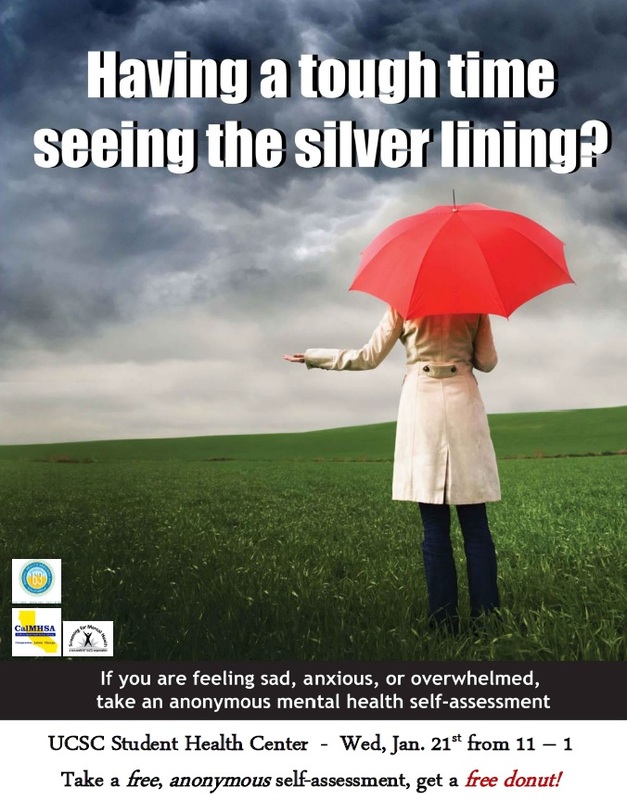 Students will have an opportunity to take a brief, anonymous screening and meet one-on-one with a mental health professional. The screening provides students with insight into symptoms they might be experiencing and offers helpful treatment and referral information, if necessary. This event is free of charge and totally anonymous. And if you love free stuff as much as I do, you’ll be psyched to hear that there will be COMPLIMENTARY DONUTS! TLDR: You have 99 problems but don’t let depression be one of them. You’re not alone. It’s okay to ask for help. Take this next step. 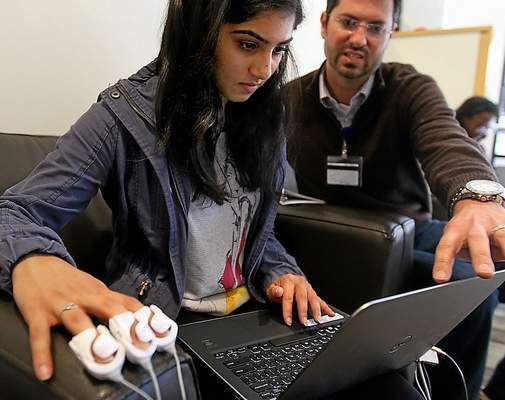 College offers new experiences and challenges. This can be exciting; it can also be stressful and make you, or someone you know, feel overwhelmed. If these feelings last for more than a few weeks, or interfere with academic or social functioning, it may be a sign of depression. Take a free screening at the Student Health Center, tomorrow Thursday October 10th from 12:00-2:00pm. Take an anonymous, 5-minute assessment and get a FREE DONUT. Now there’s some real excitement for you, baby!